Grab your friends and get cooking in the land of Ooo with Adventure Time: The Official Cookbook, featuring recipes from all your favorite characters and kingdoms. In the Founders’ Island Library, Finn discovered the remains of an old cookbook filled with dishes such as “lasagna” and “boiled eggs.” And he was pretty sure that the cookbook had belonged to his mom at some point. Weird. But a lot of the pages had been lost to the cruel sands of time. So Finn took it upon himself to fill up the book with as many crazy delicious food ideas as he could. And since that only filled around six pages, he recruited Jake, Marceline, Princess Bubblegum, and the other citizens of Ooo to help complete the cookbook. There was pouring! There was mixing! There was a pasta-related Wizard Battle! Are you ready to feast your eyes and prepare your stomach for the most awesome, most delixious meals this side of the Candy Kingdom? 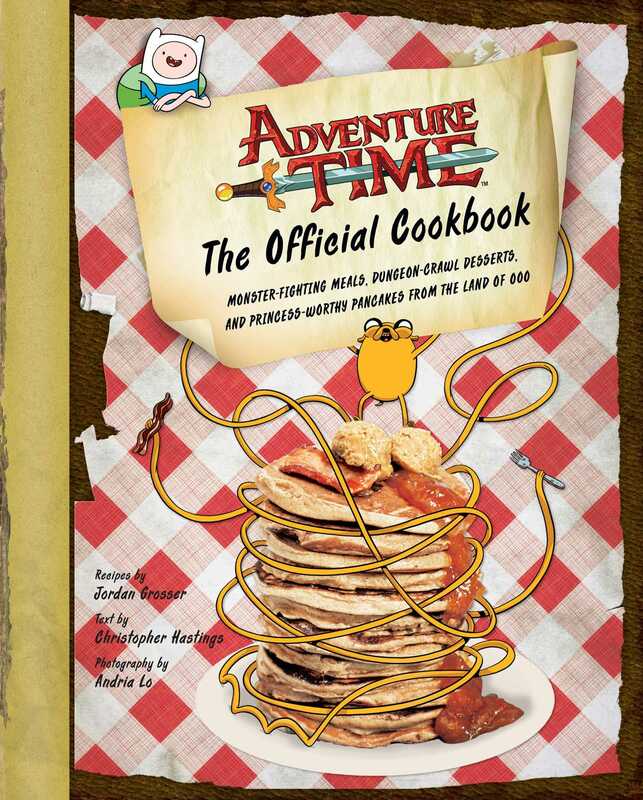 Grab your friends and start cooking, Ooo-style, with Adventure Time: The Official Cookbook.